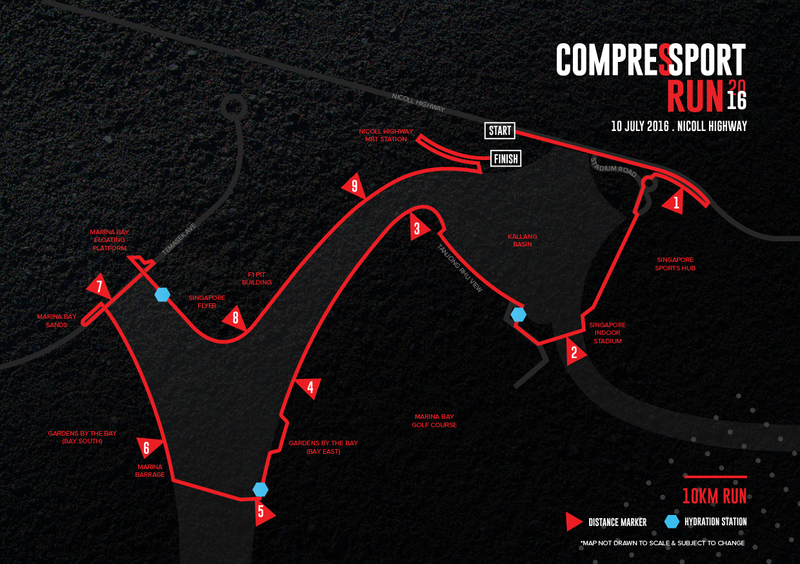 I have to admit, the only reason I joined the Compressport Run was to get the free calf sleeves. So I was surprised I enjoyed the 10km run yesterday as much as I did, more so than the two Performance Series races. 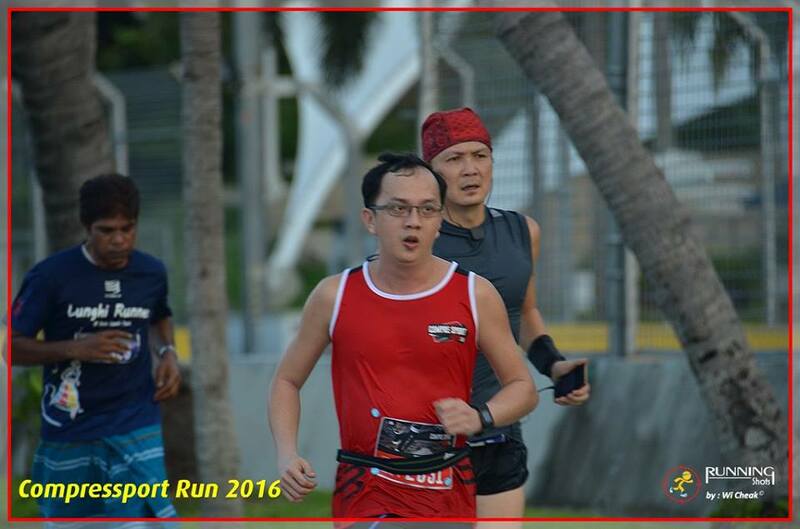 Yes, it was the same old route around Marina Bay again, but I appreciated how the first few hundred metres of the course along Nicoll Highway was wide enough to accomodate the thousands of runners without much congestion. This wasn't the case for the two Performance Series runs. I was also surprised when my NikePlus running app told me this was my fastest 10km ever, which made the run even more enjoyable in retrospect. I don't know whether I had ever run 10km in under an hour before in my life. But it's nice to know I can still do it after my 50th birthday last month. I like the free Compressport calf sleeves too. Kinda disappointed there was no finisher T-shirt though. Coincidentally, the last time I ran my "fastest 10k ever" was also in my On Cloudster shoes. They are becoming my 10km good luck charm. Except I had a painful blister on my left ankle yesterday after the run. I guess I should wear socks the next time.